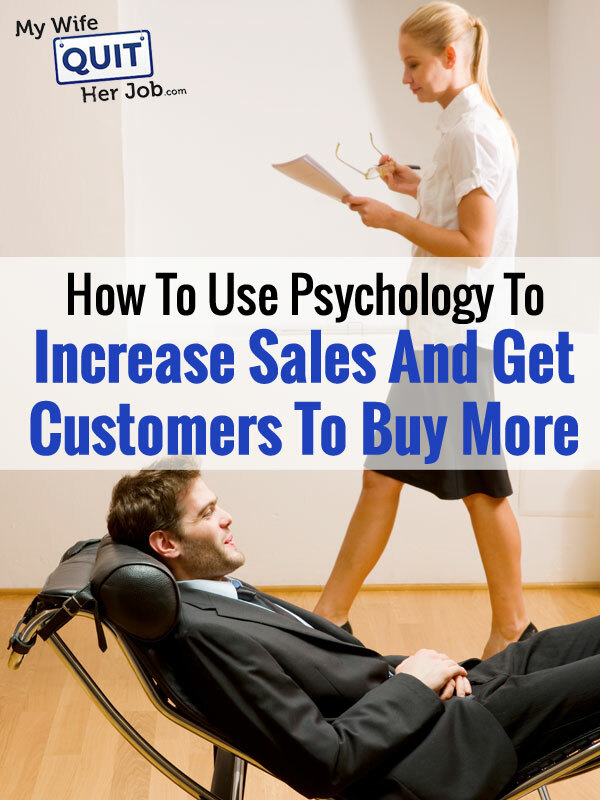 When it comes to negotiation or convincing customers to buy more, you can leverage certain innate characteristics of consumer behavior to increase your sales. Below are some examples on how to use the psychology of commitment to get what you want. I really hate getting nickel and dimed, especially when I believe that two items should come packaged together at no additional cost. For example, every time I go to McDonalds and order Chicken McNuggets, I get really annoyed. 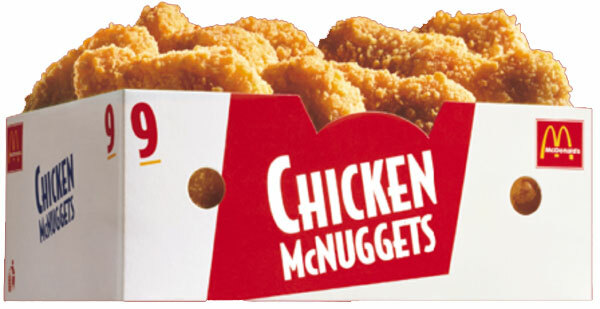 Back in the good old days, McDonalds used to give you as many packets of sauce as you wanted for free whenever you ordered their Chicken McNuggets. But a while back, they started charging you for extra sauce that exceeded their recommended quota. Today when you order 20 nuggets, you are only allocated 3 packages of sauce. For a 10 piece, you get 2 and for a 6 piece, you only get 1. For me when I order a 20 piece, I need at least 5 packets of sauce. No doubt someone at McDonalds calculated the sauce usage for the average consumer and determined that 3 was the magical number. In any case, sauce packets now cost an additional 30 cents a pop at checkout. Personally I hate getting charged an extra 60 cents for something that used to be free, so one day I decided to try a different tactic. Instead of telling the cashier up front that I wanted to order 2 extra packets of sauce with my 20 piece, I simply asked for 3. Actually I change my mind, could I get 2 more packets of sweet and sour sauce please? Sure enough, the cashier handed over 2 additional packets of sauce for free! When my wife and I were shopping around for embroidery machines, we were extremely price sensitive. After all, these machines cost anywhere from 5-15 thousand dollars and we wanted to only pay for as much machine as we needed. For such a large purchase, we shopped mostly at physical store locations and a variety of sales tactics were used against us. Some retailers tried to present us with large package deals. Buy this machine along with an embroidery starter kit at one low price! Buy this package and receive free servicing for life along with all of the accessories you need! Other salespeople tried to sell us the base machine and then nickel and dime us for all of the extra accessories. But the smarter salesmen read my wife and I like a book. Sensing that we were extremely cost averse, the sales person that we ultimately purchased the machine from didn’t try to sell us anything more than the base machine. He seemed conscious of the fact that we wanted to spend as little as possible and didn’t try to push anything on us at all. However once we had settled on a price and were all ready to make the purchase, he casually walked us over to the accessories aisle and gave us a brief tutorial on additional items that we might need. And somehow, we ended up spending a good amount of extra money on these accessories and didn’t feel too bad about it either. So what do these 2 stories about chicken nuggets and sewing machines illustrate? It’s that both customers and retailers are much more vulnerable once a commitment has already been made. And as I’ve already illustrated with the stories above, this can be used to your advantage. As an online store owner, make sure you upsell an existing product or cross sell your customer with additional accessories and/or related items when they are ready to checkout from your store. For example if you sell cellphones you might want to present the customer with a variety of cases or a car kit just before checkout. If you sell shoes, hit them up for some socks or other accessories. If you want to see an extreme example of this tactic, go and try to buy something from GoDaddy.com. While I think that GoDaddy’s tactics are annoying and way over the top, it clearly works otherwise they wouldn’t be doing it. As a consumer, you can extract every last value of your dollar by asking for additional concessions after a salesperson has already committed to helping you and you’ve both already agreed on a price. This tactic works especially well for larger purchases but ultimately depends on how desperate the shop owner is or how trivial your demands are. The hardest part of sales is convincing your customer to choose your store. But once that decision has been made, adding a few extra items isn’t as big of a deal. In other words, they already like your company and your products so it then becomes a question of what to buy and not whether to buy. Therefore, it is crucial to get your customer to commit to making a purchase no matter how small the cost and then try and cross sell them with additional enticing items just before checkout. As a shop owner, you should always use cross selling in conjunction with a draw in item that is priced very attractively. Customers who commit to buying your inexpensive draw in item will be vulnerable to cross sells because psychologically, they’ll feel inclined to spend what they had already planned on spending. Wow I just saved 50 bucks! May as well blow this money on something else. After all, it’s practically free money! Many larger retail chains use this tactic all the time. Stores like Fry’s Electronics and Best Buy routinely offer ridiculously low priced items to get you in the door and as a result most consumers end up buying additional higher margin goods on their way out. My wife and I increased our average order size by roughly 29% almost immediately once we started using draw in items and cross selling. We found that the easiest and painless way to do cross sells is to rely on prior sales data by pointing new customers to what others have already purchased along with what is in their shopping cart. It takes a bit of hand tweaking to make sure the recommendations make sense, but it’s well worth the time. Another tactic that we’ve found useful for increasing average order size is by offering free shipping and discounts when certain purchase amounts are met. For example, customers can save up to 11 dollars on shipping for all orders over 100 dollars at our store. On many occasions, I’ve observed(in real time) customers looking for extra items to add to their shopping carts just to cross the 100 dollar threshold. These tactics work and are an effective way to increase revenues without having to increase foot traffic. When it comes to making additional sales, getting a commitment from your customer is 90% of the battle. And once you have that commitment, it’s very easy to increase the average order value with additional offers. So the next time you shop online, pay close attention to the tactics being used to get you to spend more money and copy their tactics! I have to agree with you about being nickeled and dimed. I would much rather have the choice of what to spend and then, if I feel like adding more, I can and it will be my decision. But what I also like is to have as many choices as possible that go along with what i am already purchasing. This is a method that I will defintely use in my store. I see it alot on other sites, but you look at things differently when you are the shopowner verses being the purchaser. You struck a cord with the chicken sauce article. Recently I sold my hamburger franchise, not McD’s, but another one you would recognize. The problem for me was the waste, especially ketchup packets in drive thru. People would ask for lots because they are free and then eat in their cars in the parking lot and throw their garbage on the ground. Lo and behold, the ones that wanted ten packets would use two. The same was also true for the chicken sauce. If most people know something is free they want more, even if they waste it. The other thing about fast food is the waste of food itself, not customers wasting food so much, but the restaurant. Hamburgers weren’t so bad because we could hold the patties for quite a while and we sold lots, it was the chicken. In order to hit service times demanded by customers and the franchisor we always had to have cooked chicken ready. Sometimes we sold it within the holding time, often we didn’t and had to throw it away. Across all the fast food restaurants thousands maybe millions of chickens are thrown out (wasted). So you can imagine these birds are born, fed, fattened up, killed, sold, thrown in the garbage. I couldn’t stand it, it was so depressing and the staff could only eat so much. We couldn’t give the food to the homeless shelter because the local food inspection agency forbade it. To me it really said something about our society. Anyway, after 20 years I sold out. I’m now trying to make a living online. I have my first Amazon sales a couple of days ago and made $11.85 in commission. I was thrilled as I have three websites and had just about given up after three months of not a penny. Thanks for your articles though, they keep me plugging away. Trying to find my next niche. Thank you for sharing your story. I’ve been meaning to read “Fast Food Nation” but haven’t gotten around to cracking open the book. I knew there was waste in the fast food industry but I had no idea that businesses weren’t allowed to give the food away to shelters either. In any case, good luck with your online endeavors! The use of loss leaders in marketing to generate sales has been going on forever. I personally give away a ton of stuff to get people to engage and sample the great information and resources we have. Then, a percentage of people will see the value and decide to invest in additional materials. Thanks for leaving a note and reinforcing some of the points of the article. I’ve been exchanging emails with a few of my readers who are hesitant to to apply the loss leader approach or lower their profit margins for any reason so it’s good to provide additional reinforcement that it really works. Thanks again. Thanks for the reply. I think loss leaders are not a bad idea, it’s just that when it comes to food, unless it gets eaten it really is a waste. Excellent post, I love learning about tricks like these. Not only are they helpful for your business but learning these tricks helps prevent them being used against you. We’ve been playing with the cross-sell/upsell recently but it’s not that easy to get recommendations set up properly – at least in Shopify. Do you have any specific plug-ins or tools that you use for this that you would recommend? My advice is when you just starting up, try to deal with leads, prospects, shoppers, customers as much as you can. Meaning having conversation with them. After a while, cross selling and upselling becomes natural. Even you yourself won’t realize that you are actually doing cross selling and upselling what you really are doing is helping them. Then you can automate these things using technology. Your blog is an interesting read, but I would have really liked it to have some tags or categories, according to which the reader could have selected the articles (examples of tags: productivity, pricing, e-commerce, blogging, etc.). U have any articles on fake products? They show u the authentic item but once u get the ‘what was precieved’ as original was actual some after market. Some people take notice and some don’t but for those who do want the actual real product…I see people buying up all this stuff with these manufactures for cheap prices stick em on Amazon but the end user is getting a fake or something that falls apart in a matter of days…when every other comment on Amazona product is dissatisfaction…there’s a problem w the quality! Pingback: What Incentives Could You Offer Your Customers for Buying Your Products?